Bike rack storage on Amtrak Cascadia train along the Northwest Pacific Coast. 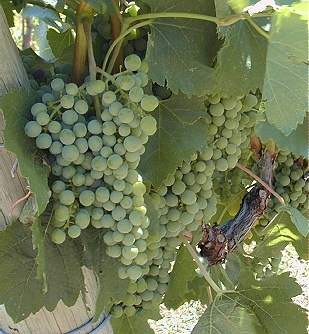 Sept. 2009. Photo by HJEH Becker. Bike and luggage storage train car is only on certain scheduled trains across the rest of the US. In British Columbia, why is it important to keep the Canadian Pacific’s Armstrong Subdivision in rail operations and prevent CP from selling it off for non-transportation use? 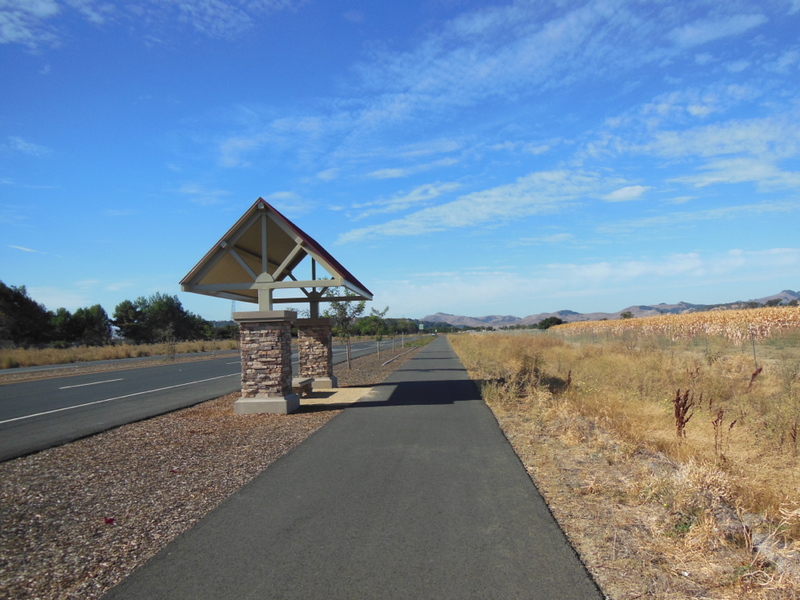 Why is it important that all abandoned rail lines be turned into bike trails? 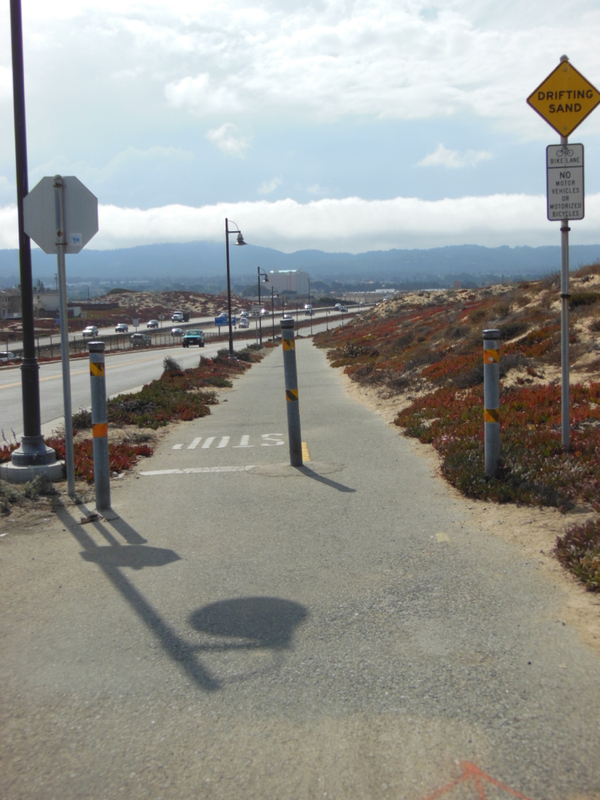 Why is it important that all operational rail lines also have bike trails within their right-of-way where mountain cliffs are not a hindrance? Look at what is happening in Toronto and Ontario into Québec. ( www.biketrain/ca ). For rail-trails and rail with trails, Québec’s La Route Verte touring cycling routes and findings in an economic report prepared by a Montréal university, has shown a clear, positive impact on local retail economies. 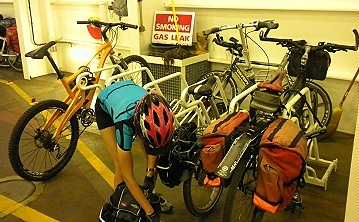 Tying up bike to rail in bike storage train car. Cesky Krumlov, Czech Republic June 2010. Photo by HJEH Becker. 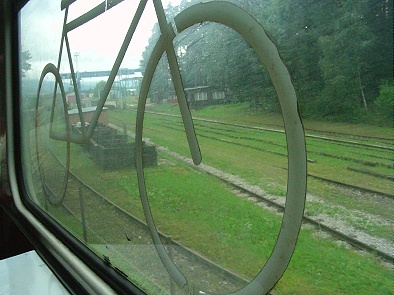 Aging, rusty but clean Czech trains usually provided a bike storage car per train. its soft case and went to the VIA check-in agent in Toronto on my way to Montréal. He looked at the bag and told me that they had a bike rack on the train I was going on. What a surprise. 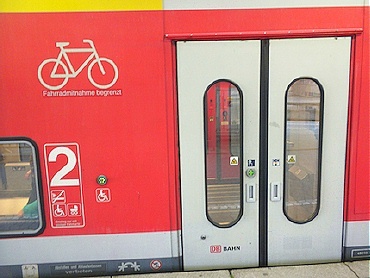 Germany's Deutsch Bahn trains often provide at least 1 bike storage car per train. June 2010. 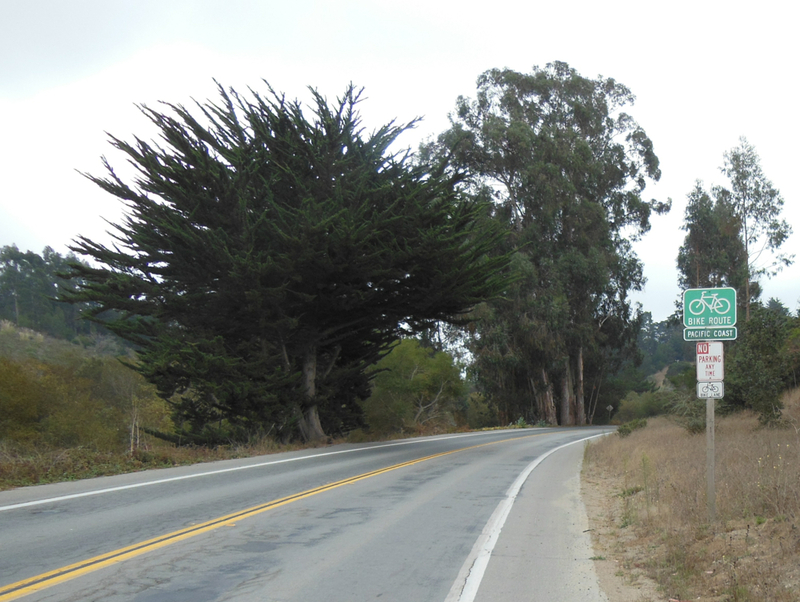 Reservations are recommended since cyclists use them often. In 2010, Transportation Options and its partners, VIA Rail, Ontario Northlands, Go Transit and others, have a suite of routes that are serviced with capacity to carry bikes on train. Some of these services take cyclists and their bicycles 500 kms and more to their Ontario destinations. Also pilot trains are being run to destinations such as Huntsville, Bracebridge, and South River north of Toronto. Imagine if the bike train concept were brought to British Columbia. 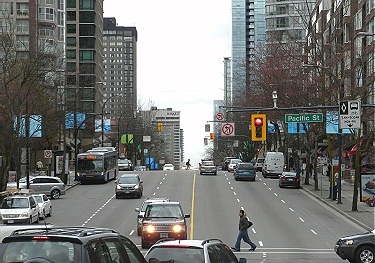 It would open up such destinations as Whistler and farther north municipalities, the Fraser Valley to Salmon Arms and south to Kelowna, Osoyoos and east, Vancouver Island, the Lower Mainland, and other destinations. 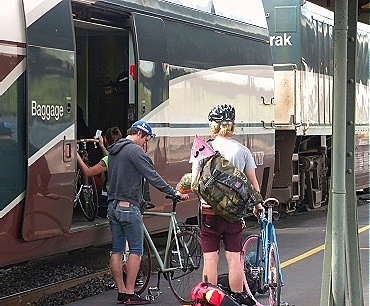 Already we have capacity to travel south to Seattle, Portland, and Eugene, Oregon with the two train services each day on Amtrak that have bike racks. Imagine the flexibility that would be provided for touring cycling for a day, for a weekend, or for longer trips, not only from Vancouver outward but also by bringing people from the B.C. interior to the Lower Mainland and Vancouver Island. 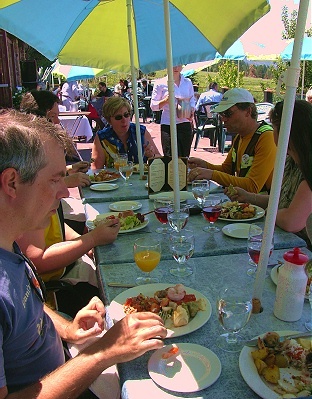 Image the new business and revenue that smaller centres in BC would enjoy from the cycling touring trade. Now if this were Europe, Kelowna would only be 2 hours or less from Vancouver with high-speed trains. 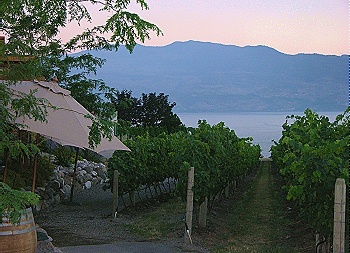 One could leave Vancouver in the morning, cycle the wine country of the Okanagan, and return home the same day. A dream or a reality someday? Time will tell. pushing a bike on a train. 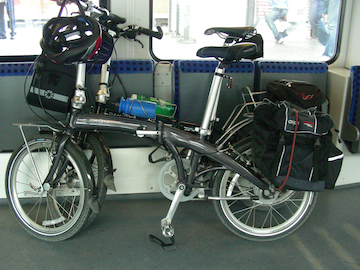 At each stop, the folding bike will be taken out or put back into its soft bag. When we lived in Toronto, we made good use of the GO Transit trains to get out of the city for a day, a weekend, or longer. Train stops such as Kingston, Cobourg, and Cornwall were frequent destinations. The VIA Rail station staff would thoughtfully keep our bike boxes until we returned. 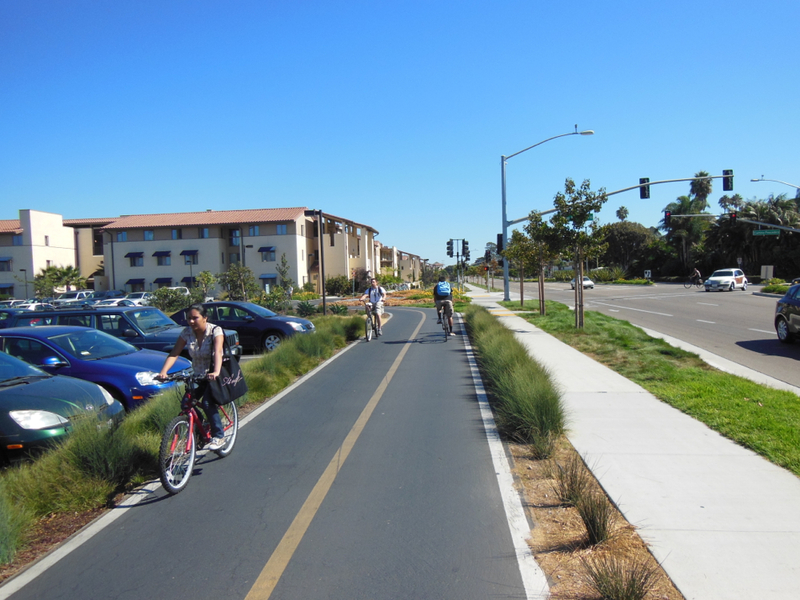 So, we should rally our governments to ensure that rail lines stay for transportation uses, either singularly for cycling or for bike trails and operational trackage within the same right-of-way. 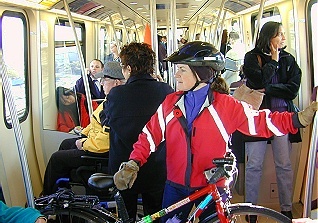 Frequent service , Easy loading of bicycles onto public transportation vehicles, Bicycles go with the passenger, Guaranteed space on the vehicles, Reserving the space. I have a keen interest in seeing the capacity for people to tour British Columbia by bicycle, be developed so that we can all take advantage of the magnificent scenery in this province. 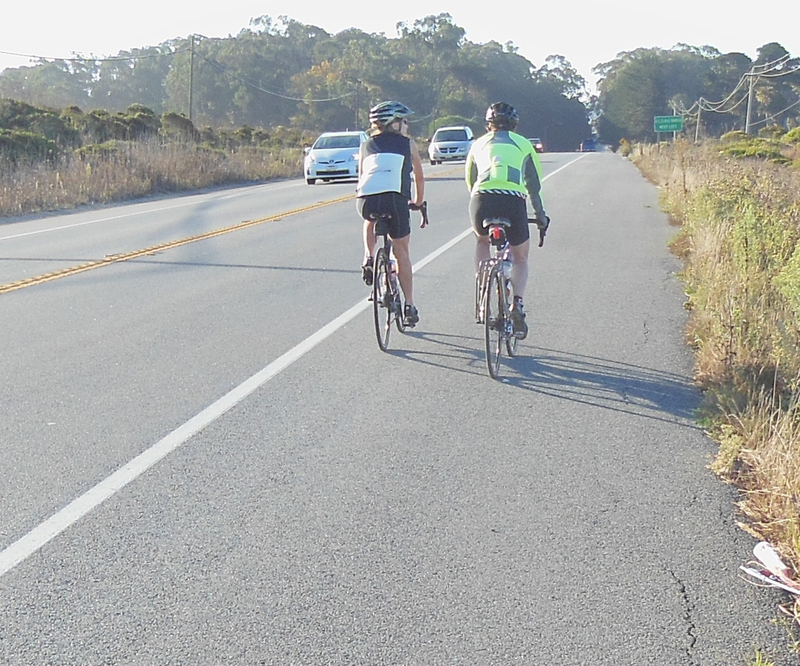 Just like cycling on the La Route Verte cycling touring network in Quebec. Over the last two weeks in Europe, we have been reminded of how the cycling experience can be expanded by an effective train transportation system, which conveniently carries bicycles. Also, we saw how such a system expands its ridership when carrying bicycles is as simple as rolling bicycles onto a train car, with panniers and all. 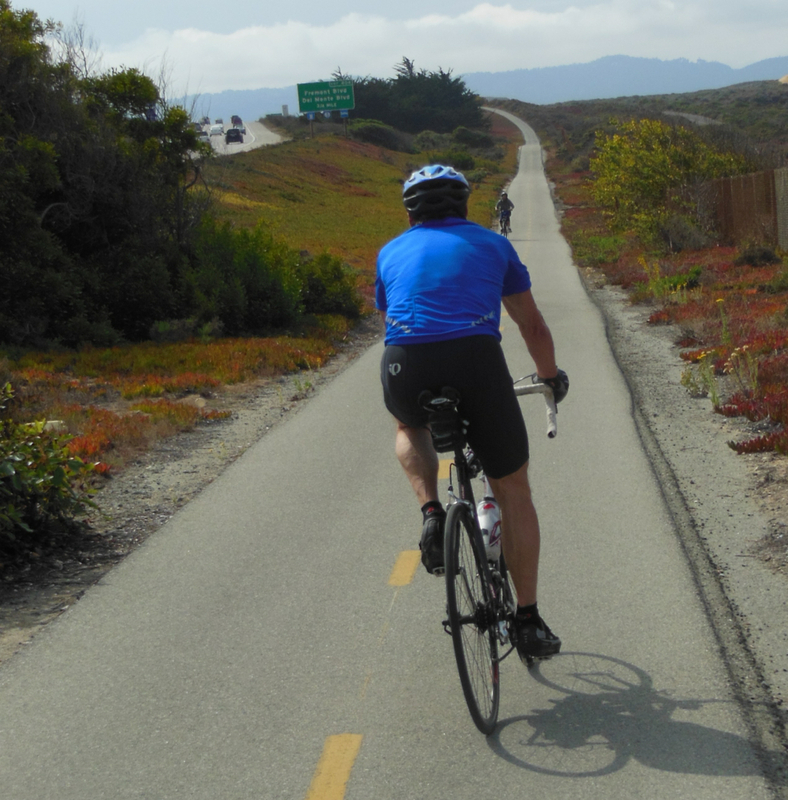 In North America, when we go for a day ride on a weekend, some of us need to plan for a round trip and sometimes that includes doubling back the way we went out. Our cycling distance is thus limited to 50 kilometres or so from our starting point. 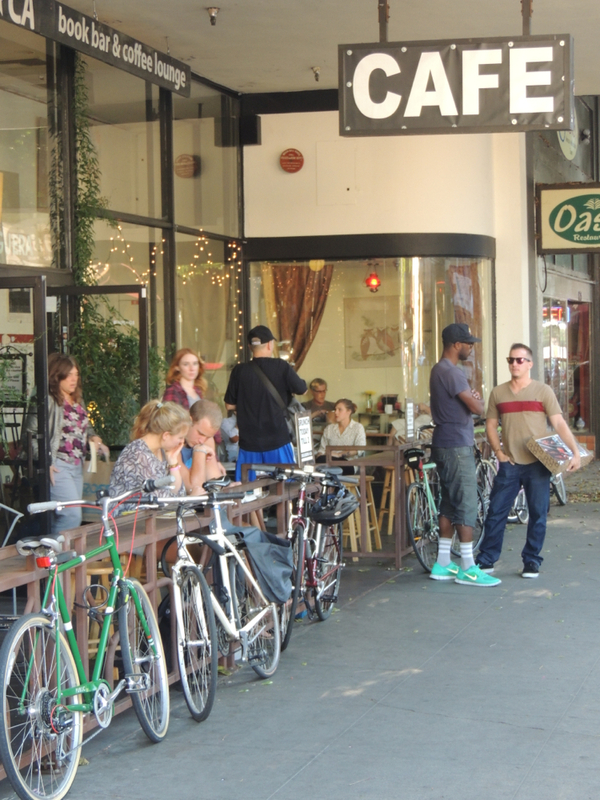 For large city dwellers that means much of the time is spent within an urban environment, not the rural landscape that we seek. In Europe that is a bit different, with hourly or at least bi-hourly train service. Lifting off our bikes at train switch, Cesky Budejovice, Czech Republic before continuing to destination town of Cesky Krumlov on a different train, southwest of Prague. June 2010. Photo by J. Chong. 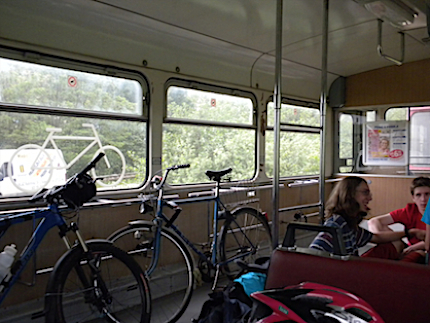 Though Czech trains were abit aged, they did offer a rail car with bike storage per trip. the way to and then back to Prague we saw cyclists in their spandex gear get on and off. They had done their day ride to a more distant place and returned home by train. What a more rewarding cycle than having to loop back. 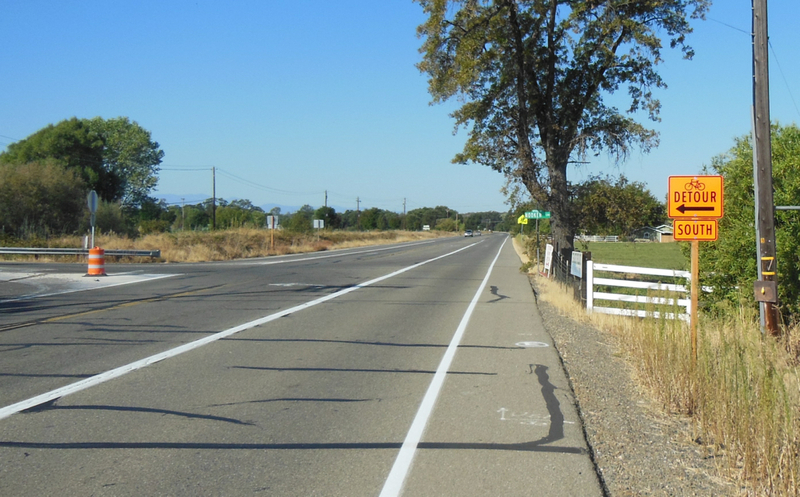 More cycling is done in the rural landscape than in the city. We took advantage of this way of cycling a week ago. On a Sunday, we cycled 97 kms. 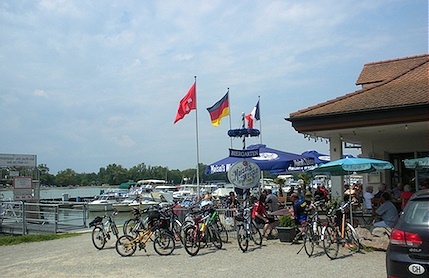 along the Rhine from Freiburg, Germany to Basel in Switzerland. Then we caught a train back. Good thing we got early onto the train. 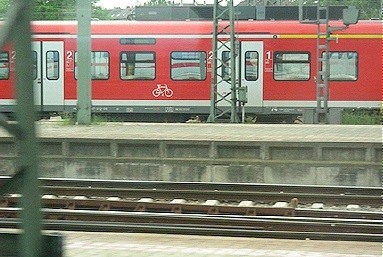 The train held approximately 38 bicycles in two cars. As the train pulled out of the station, the bike sections were full. When someone wanted to get out, then 10 cyclists had to get off the train first, to make room for the departing cyclist. 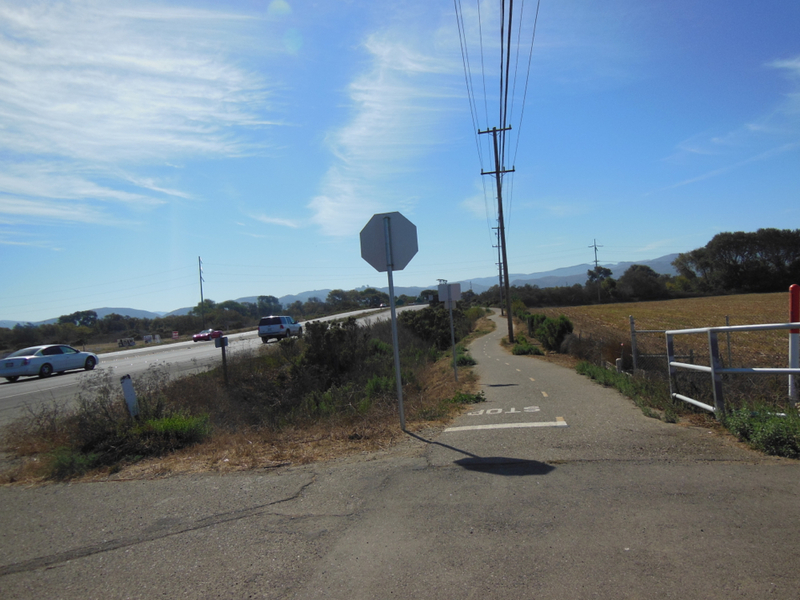 On the way back, at almost every train stop some cyclists could not get on. Pass byes were frequent. 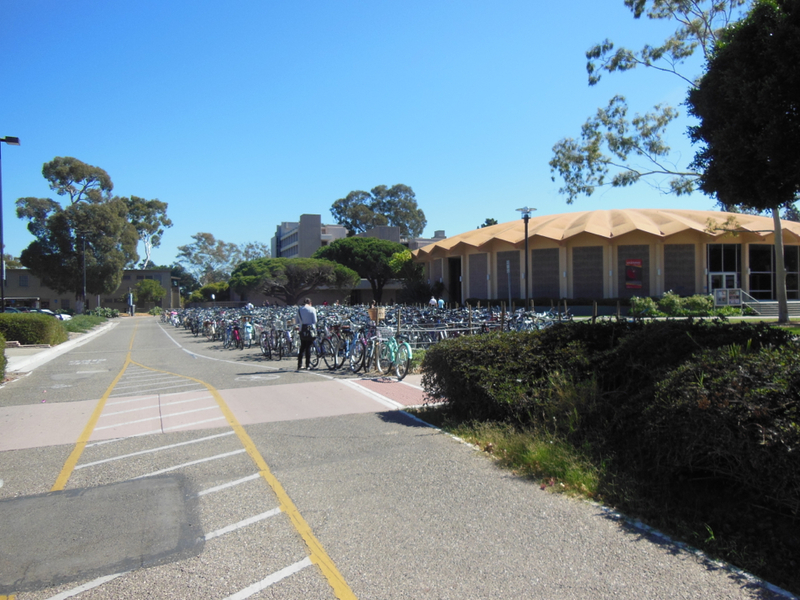 It certainly was a reminder that bike reservations were needed. 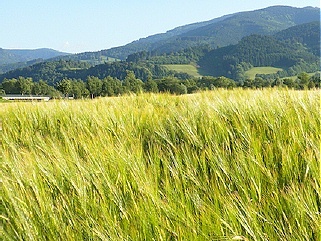 On our segment from Karlsruhe, Germany to Prague, we did make reservations. Good thing, there was just room for two more bicycles in the car. 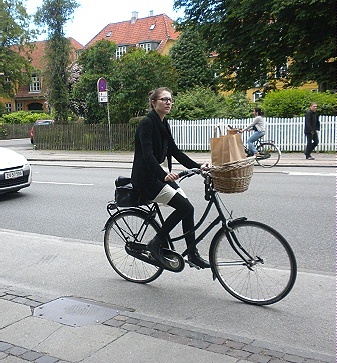 At the same time, I tried to make reservations for the bikes from Nuremburg, Germany to Copenhagen. Forget that. 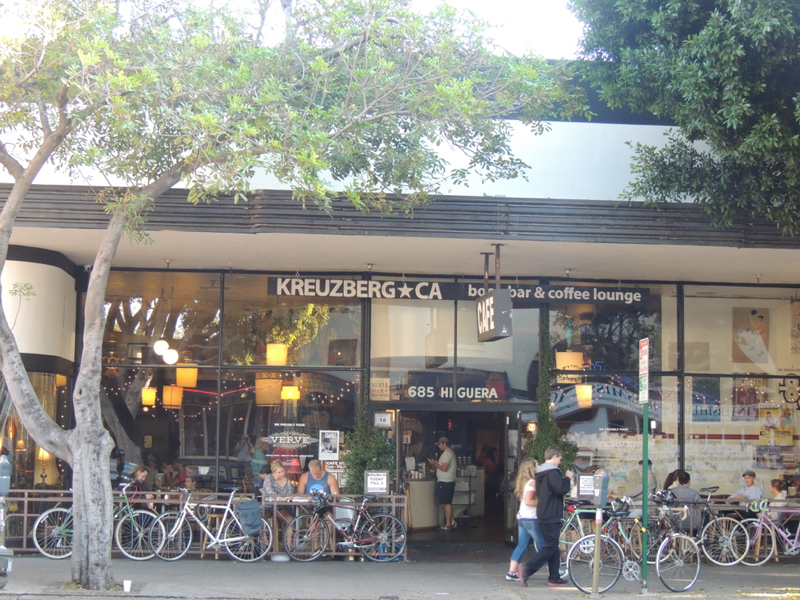 We have reservations for ourselves, but not the bikes. Good thing we have folding bikes with us so they can go as luggage. However, that means the effort of packing all our panniers into one bag and folding the bikes. We also need to carry bike bags as well. 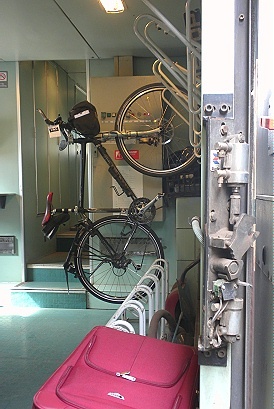 Then, there is the matter of finding space on the train to store the bike luggage. 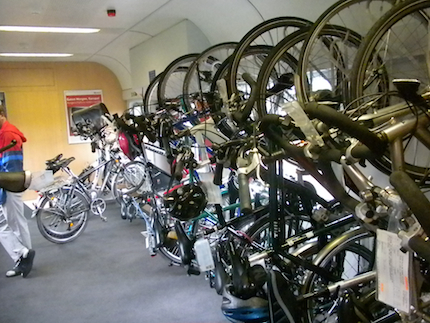 Bikes in a designated bike storage area on a Swedish train from Copenhagen to Malmo, Sweden June 2010. Photo by HJEH Becker. Train ride is only 30 min. one way. Much more convenient when one can roll the bikes on the train with the panniers attached, especially when there is only a 2 or 3 minutes station stop for the train. 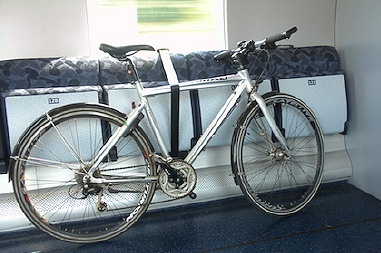 Folding bikes in designated bike train car on Swiss Rail June 2010. Photo by HJEH Becker. The square metal hold was used later to strap bikes securely with our own cords. 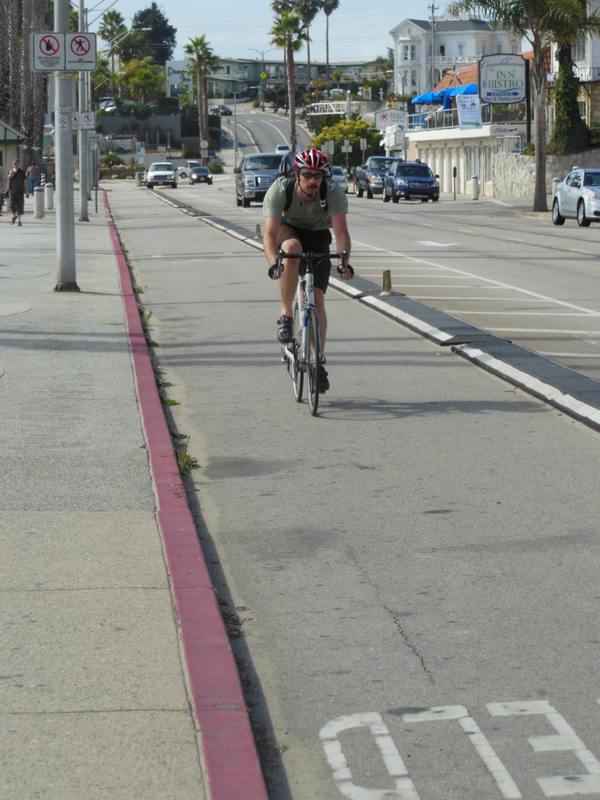 either do not allow bikes on board or have insufficient space due to high demand, have not been an issue. Well maybe except for one hotel in Paris where I nearly had to send the folding bike up on the elevator to the room floor as there was almost not enough space for me. 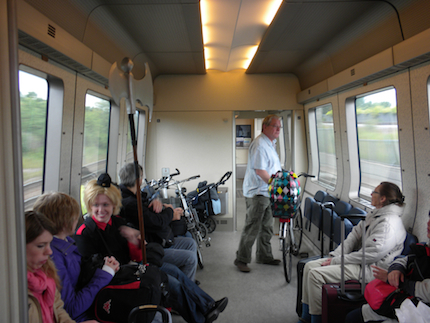 Most of the trains we have used, had racks for the bikes. 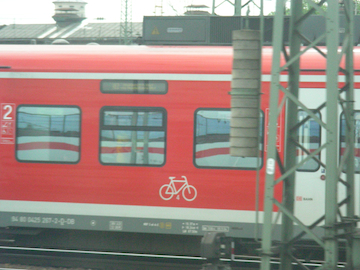 Two days ago, we went on a local train that had a few cars with railing along one and centre posts for leaning bikes. Convenient way to go. While living in Toronto, we frequently took advantage of the hourly GO commuter train service to cycle out of town and then come back by train or the reverse. Four bikes on a car with 10 or so cars, usually there was sufficient space for all. Now this train service has been much expanded and bike racks are on GO buses as well, servicing points 100 km plus from Toronto. 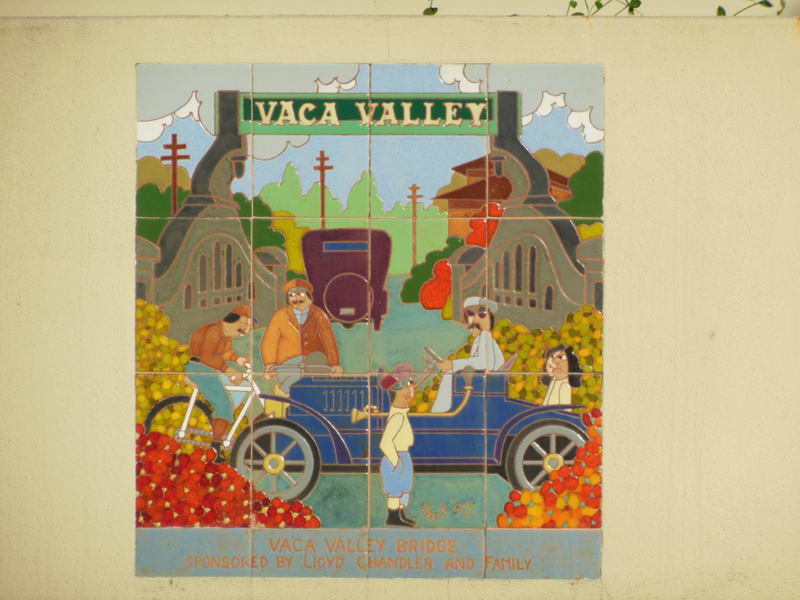 We also used to use the friendly VIA Rail service cycling to a destination for a day or a two-day weekend trip and then returning by train. 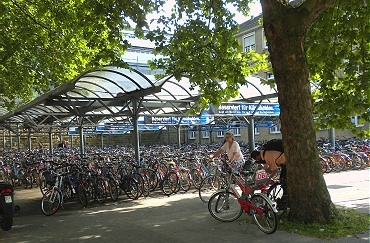 Although boxing of the bicycles is required, one could deliver the bicycles to the departing station a day or two in advance and pick them up within two days afterwards. 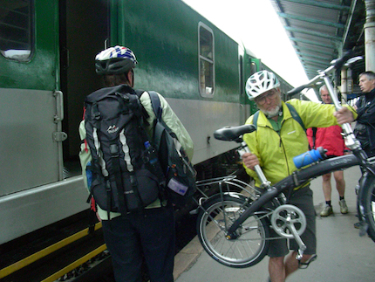 In 2009, VIA Rail also experimented with a bike rack on its daily train that had baggage service between Toronto to Montreal. On the west coast, there is the Amtrak service between Vancouver and Portland with ongoing connection to Eugene, Oregon. 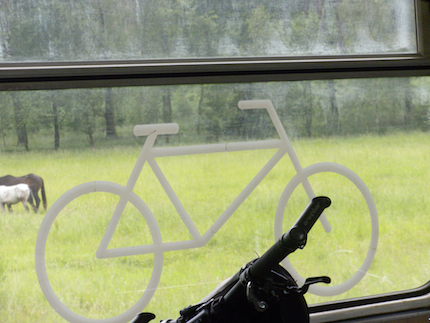 It is easy to reserve a spot on the bike racks on a train. 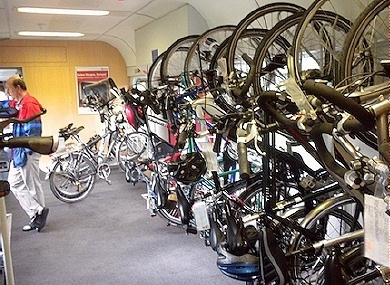 If the racks are fully booked, then there is more room in the luggage section of the trains for bicycles. Then there is British Columbia. The VIA Rail system has a limited bi-daily service on one route. Unfortunately, the route does not service the most popular destinations or allow one to return within a weekend time frame. The train service on Vancouver Island does not accommodate bicycles. The West Coast Express commuter train services are too limited in service and operate in one direction only to be of any use, except for commuting to work. 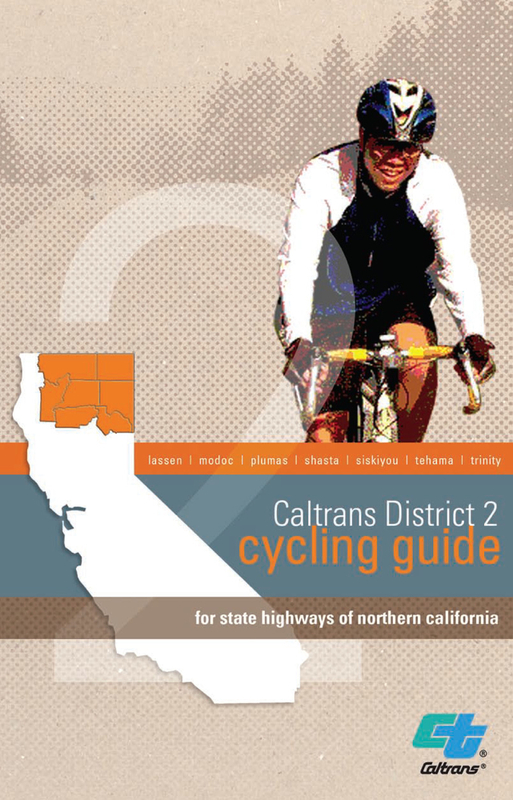 The provincial bus service does not guarantee that your bicycle will go on the same bus with you or the same day. Boxing is required and it will be shipped as packaged freight, not as luggage with package freight charges. Then there is the real situation where not all Greyhound bus stops have bike boxes nor are all bus stations open when the buses are schedule to stop. We have encountered this situation. Fortunately, I was leaving day later and could take the bike to the station. Coincidentally the station happened to have a bike box in almost complete condition. Taking a folding bike on Greyhound buses has not been an issue for me with the drivers handling the bike carefully in its soft bag. 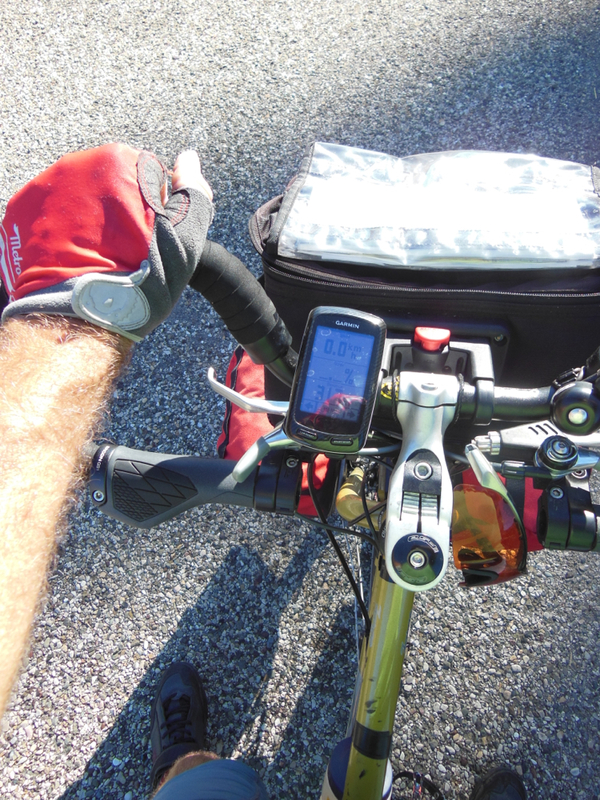 Every now and then, one of the drivers would tell me that he or she takes along a folding bike to use at their layover destination. The current situation in BC does not attract local cyclists or global visitors to plan touring trips in the province for short or longer periods. 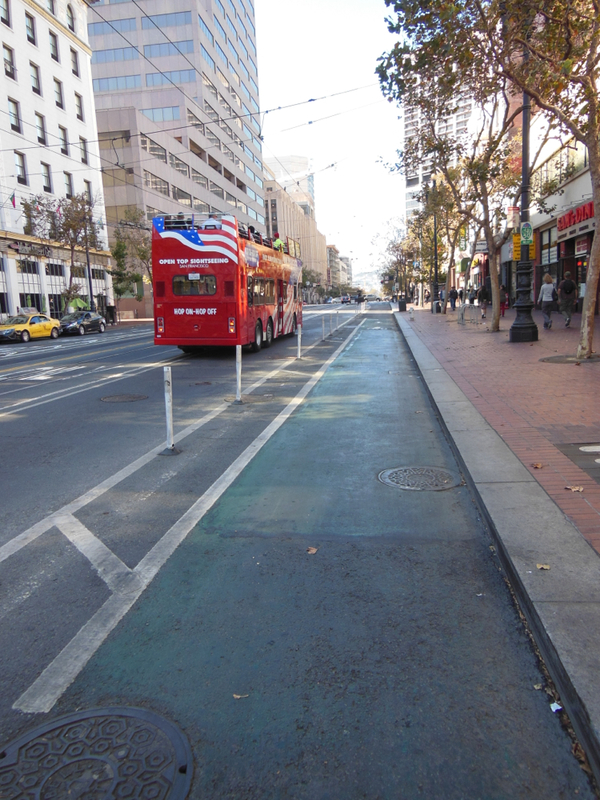 The bus companies could significantly help by improving their capability to carry bicycles, especially more than two, and for providing reservation capability by bus. 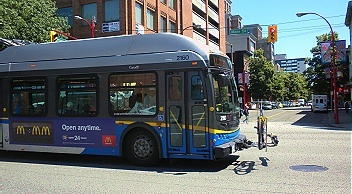 Techniques for carrying bicycles could include bus racks, bike racks in the luggage area, bike rack on the back of the bus (capacity could be up to 6 or 8 bicycle), bike capacity inside bus trailers, and bike racks on top of trailers (capacity of 6 to 8 is feasible). For the train service, the E&N’s Vancouver Island train service could add one car designed for cyclists. 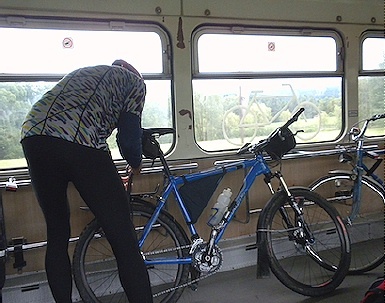 For VIA Rail, they could add bike racks in the baggage car. 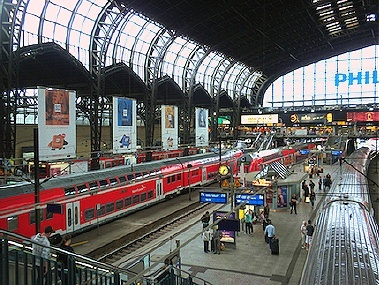 Adopting European train techniques could lead to more cycling flexibility and increased traffic for train and bus companies that travel inter-city. 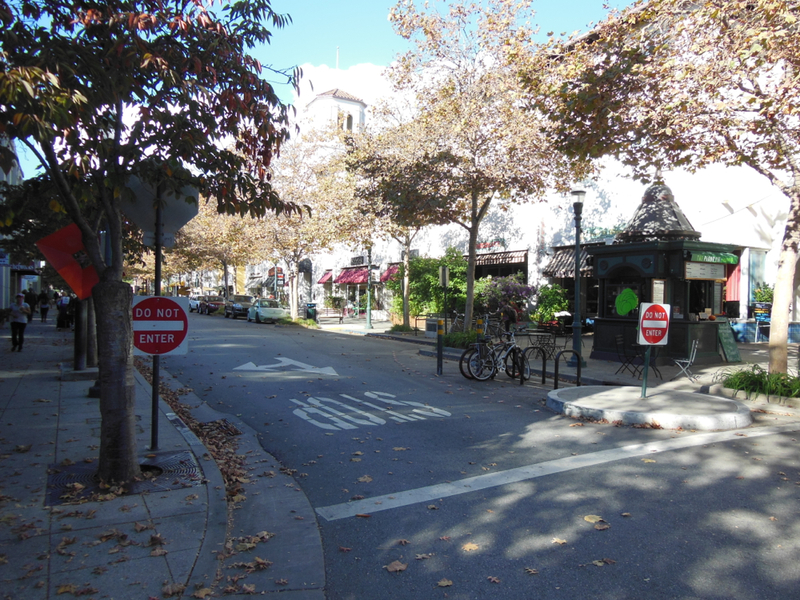 For people, it means more transportation options. For liveabilty of a city, it is a step forward. 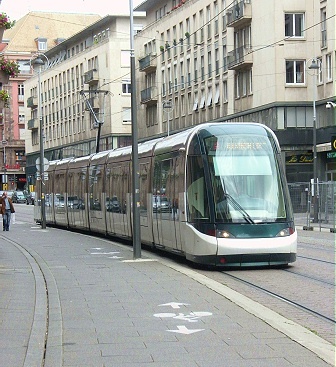 It is just another technique to moving towards a Greener City, a Healthier City, a People City.